Font du Loup translates to 'fountain of the wolves.' The property is named after the natural springs in the area where the wolves would come to drink. 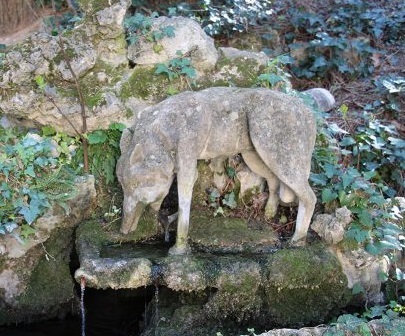 These fountains are indicative of the unique terroir that distinguishes Font du Loup. You see, Font du Loup is on sandy soil, which is usually not the best for grape vines because it does not hold water. Here however, at one of the highest elevations of Chateauneuf, there is an aquifer 150 feet below the surface. That aquifer (which fed the wolves) feeds the springs. That same water makes the grape farming possible on sandy soils. That water/sand condition, along with the highest altitude in Chateauneuf and one of the coolest microclimates of the region provides the distinct terroir of Château Font du Loup. One cannot speak of the terroir of Châteauneuf-du-Pape without mentioning the ever-present Mistral winds; winds that can reach speeds of more than 100 miles per hour. The mistral serves many purposes, like keeping the vineyards cleaned from mold caused by humidity or rain. But it also puts the vines through a great deal of stress. 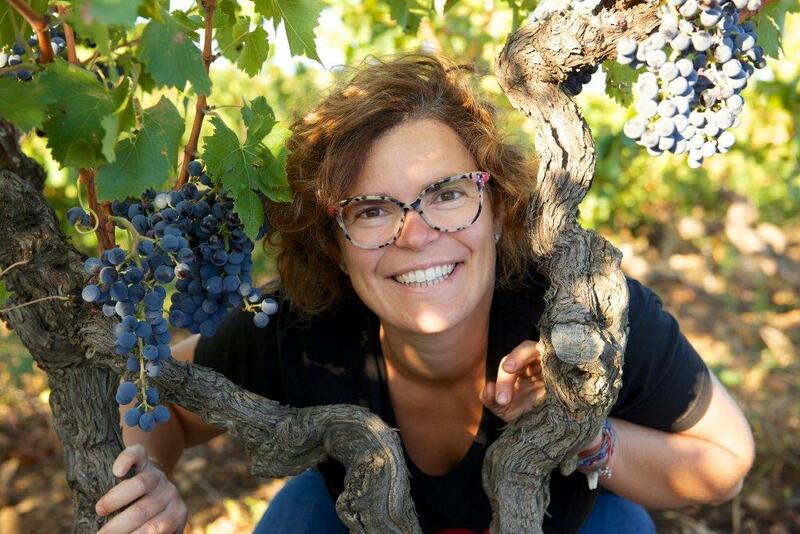 That's a headache for the winemaker, but part of what makes Châteauneuf-du-Pape truly one of the greatest terroirs in the world. The estate has been in the Melia family since 1942, though it was not until 1979 that the first estate-bottled wine was produced. Before that, the grapes were sold to negociants. Anne Charlotte Melia-Bachas now runs the estate. She is charming as she is intelligent and knowledgeable. I had never heard of Font du Loup, until a friend invited me to lunch with Ann two years ago. She had brought her whole range of wines (including the extraordinary white Chateauneuf) and I fell in love (with the wine). We’ve been trying to get her to visit for a few years now and that will finally come to fruition on February 28th. We will prepare a dinner worthy of these fantastic and singular wines of the Southern Rhone. I hope you can join us!